Gefen Bar-Cohen served as a swing player for the Princeton High boys’ basketball program last winter as a sophomore. He started the season on the junior varsity and was promoted to the varsity midway through the campaign. 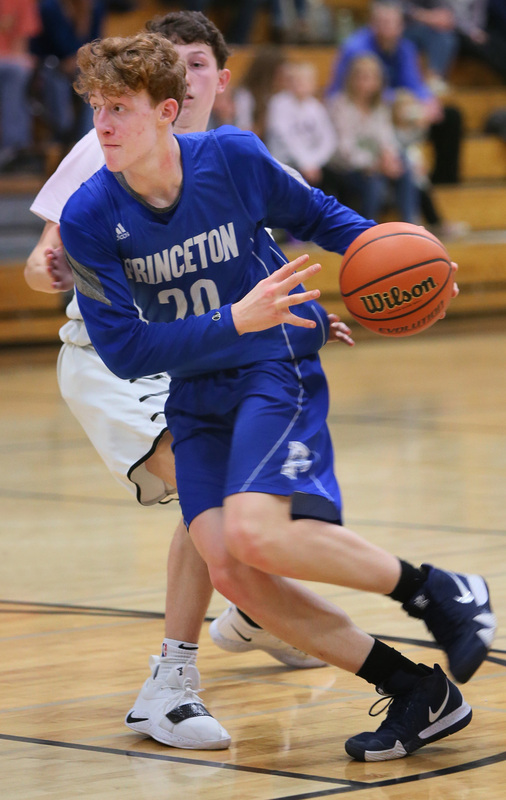 Last Wednesday at Princeton Day School, Bar-Cohen helped swing a nip-and-tuck battle between the crosstown rivals in the favor of PHS, starring in the fourth quarter as the Tigers pulled out a 70-68 win. Bar-Cohen made some key rebounds and hit four key free throws in the waning moments as the Tigers weathered the PDS surge. Early on, PHS was in position to blow out the Panthers, jumping out to a 22-7 lead by the end of the first quarter. Bar-Cohen and his teammates sensed that PDS was going to play with a lot of energy as it trailed 37-24 at intermission. “Coach [Pat Noone] at half told us, ‘they are going to come out strong,’” recalled Bar-Cohen. Sure enough, the Panthers came out firing, going on a 22-8 run to take a 46-45 lead late in the third quarter. PHS settled down, pulling ahead 49-47 heading into the fourth quarter and then holding off PDS down the stretch with some smart ballhandling and clutch shooting from the line. “I think this is a really big win for our team; we just want to keep it rolling for the rest of the season,” said Bar-Cohen. PHS head coach Noone liked the way his players showed their growth down the stretch against PDS. “That was the halftime talk, they are just too good, they are too talented,” said Noone. In Noone’s view, the win over PDS was the product of the work ethic being displayed by the Tigers this winter. Bar-Cohen’s progress exemplifies that culture. “He came down the stretch and hit some big free throws and got some big rebounds,” said Noone. The program is showing great progress this winter as PHS has already doubled its win total from last season, qualifying for the state tournament in the process. “This is our eighth win so we clinch the state berth; when you earn it with the over .500 record like the old days, that is something cool you can build on, especially with where we have been before I got here,” said Noone, whose team fell 58-56 to Hamilton last Friday in moving to 8-7 and plays at Robbinsville on February 1 and then hosts Notre Dame on February 5. Bar-Cohen, for his part, sees a bright future for the Tigers in both the short and long term.